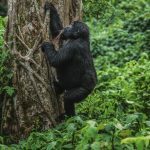 A visit to see and track mountain gorillas is arguably a magical experience that brings thousands of travelers from all over the world. A face-to-face encounter with gorillas in their natural habitat is so far the best wildlife experience every traveler to Africa should do. Mountain gorillas are one the endangered species that only reside in the forest jungles of Uganda, Rwanda and Democratic republic of Congo. 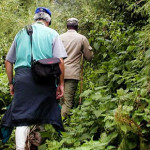 The trekking experience is exceptional in each destination and worth doing. 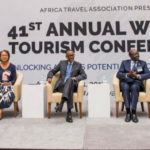 Congo is the least visited gorilla destination whose tourism is hindered by civil conflicts and rebel groups hiding within the national park. 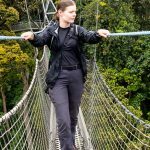 Virunga Park was closed for 8 months from May 2018 and opened in Feb. 2019 to allow extensive security investigations in the park. 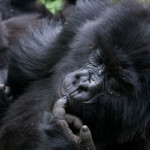 Due to conflicts and other threats in Virunga national park, many mountain gorillas have been left with severe injuries. In 2010, Virunga national park established Senkwekwe gorilla orphanage to cater for the orphaned and injured mountain gorillas. The gorilla orphanage is located near Mikeno lodge. 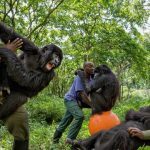 Senkwekwe was the great silverback of Rugendo gorilla family during the great attack of Virunga national park by the rebels. When two infant gorillas (Ndakasi and Ndezi) survived the massacre with serious injuries. The victim gorillas had lost their families and had no way of surviving. Maisha: This was the first gorilla to be brought to the orphanage. Maisha also translated as “LIFE” lost his family in 2004 when Virunga national park was encroached and cleared by locals to expand land for agriculture. Maisha was rescued by the conservation group and taken to Rwanda where she lived for 6 years. She served as an adult female gorilla an also as a silverback given the absence of an adult gorilla to dominate the family. Unfortunately, Maisha died of diarrhea low appetite. 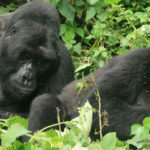 Yalala: Yalala was a former member of kabirizi gorilla family. On a fateful day, kabirizi family was loaming in the jungle when Yalala fell into the poachers trap. 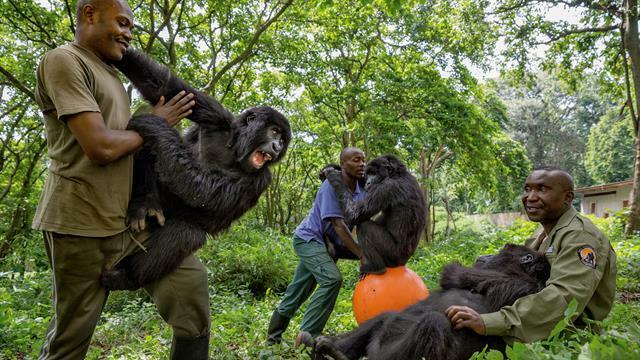 The gorilla tried to set herself free from the snare with the help of her family but all failed. She was they abandoned by her family after failing to rescue her. Fortunately, Yalala was later found by conservationists who took him to the orphanage center. The gorilla’s feet was critically endangered and had to be amputated. Kaboko: Kiboko is also a victim of poachers which into their traps in the national park. Kaboko was critically endangered with a deep wound on his right hand, which required immediate amputation. Kaboko died in 2012 at the age of 12 due to stomach and intestine problems. At the time of his death, gorilla doctors had travel weed to Rwanda and could not save the dying juvenile. Ndakasi: Ndakasi, the former member of Rugendo family has been at Senkwekwe orphanage since 2007. 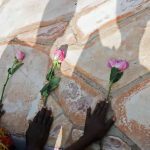 Ndakasi lost her family in 2007 in a massacre by the rebel group. Ndakasi was first taken and housed in Goma town since Senkwekwe center was not ye established. In 2010 when Senkwenkwe was completed, Ndakasi was transferred to from Goma town. Ndeze: Like Ndakasi, Ndeze is a survivor of the 2007 massacre when the rebel group attacked Rugendo family. Safari, the mother to Ndeze was killed during the attack. Ndeze was found clinging on her dead mother’s breast and rescued by the conservationists. 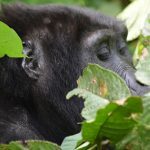 Matabishi: Matabishi gorilla was introduced to the orphanage in June 2010 when he was traced in the cornfield near Virunga national park. It’s believed that Matabishi was captured and abandoned by poachers. Matabashi was raised by Maisha who carried him on her back like her own baby. Senkwekwe orphanage center is undeniably worth visiting. The orphaned gorilla been habituated and made familiar with human presence. The human like characters of mountain gorillas at Senkwekwe gorilla center make your encounter with them worth experiencing.